Tired of tossing and turning at night because your baby bump isn’t being supported? 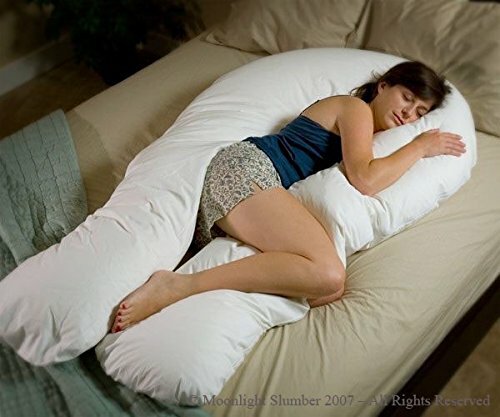 Or, are you sick of using multiple pillows to support your body? If you said yes to either of these questions, then the Comfort U Total Body Support Pillow is the product for you. Oversized with a U shape design, it offers nothing but plush comfort and full body support. Not only will it support your head, neck, belly, and back, but your legs and arms as well. Pleasing to the eye with its delightful white color and cover that is removable for easy washing, this is a top quality total body support pillow buy. 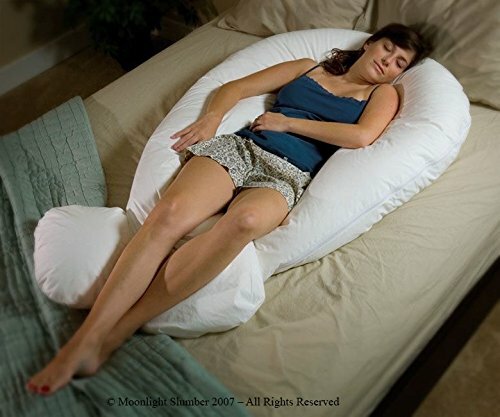 This Moonlight Slumber comfort-u total body pillow has plenty of features. 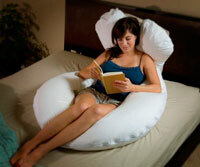 Comfort U shape design provides plenty of support for sleeping, sitting, and stretching out. Supports both sides of the body at the same time. Provides support for the neck, shoulders, head, hips, legs, tummy, and back. Doesn’t clump, flatten, or lump up. Made from cotton, polyester, and fusion fiber. Cover is removable and can be washed by hand or in a washing machine. 50 x 16 x 12.7 inches. 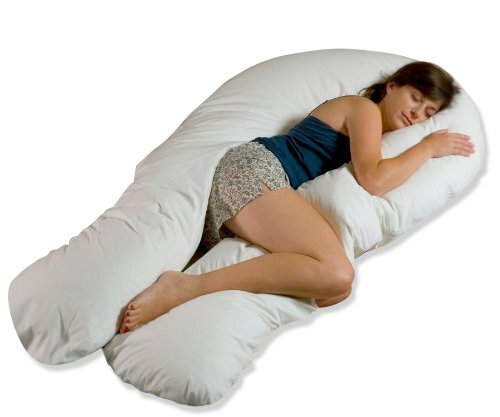 One of the main pros of this body pillow is it’s u shape, which makes it perfect for hugging at night to get comfy. Plus, it has many, many others. 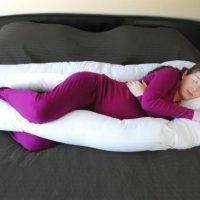 The Comfort U Total Body Support Pillow is a plush option ideal for pregnant women and anyone else who is looking for extra support while sleeping or resting. It can also be used for added comfort while feeding your newborn whether its via a bottle or breastfeeding. And, if it should happen to get dirty at any point, no problem since it can be washed and dried. 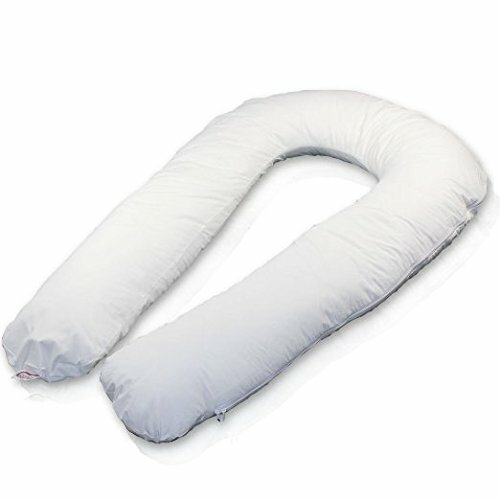 A great full body pillow option, the Comfort U Total Body Support Pillow is one that you don’t want to pass on. 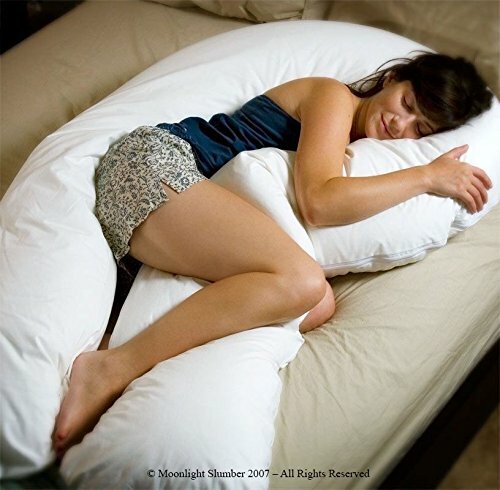 This is a fantastic u-shaped pregnancy pillow! Oversized, meaning your entire body will be supported simultaneously. U shape design lets you cuddle and curl up to it. Is big enough for two people to share and get cozy. Can use it pretty much anywhere. Effortless to clean since it can be washed in a machine. Has a pleasant appearance with its white color. Since it's oversized, it can be difficult for others to sleep in the same bed as you. To prevent clumping, daily fluffing is required.